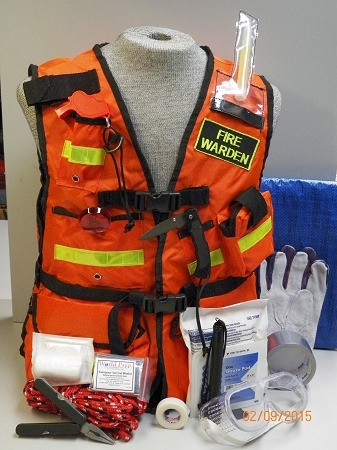 Fire Warden's Vest:is designed in high-visibility orange to facilitate the need of Fire Wardens to be immediately recognized as authoritative figures for evacuees to look to for guidance. The vest is also designed with all the required components attached to it, for easy retrieval. Copyright WorldPrep.com. All Rights Reserved. Web Store Builder powered by 3DCart.